Graffiti is a complex and often emotive issue, prompting a diverse range of opinion. In late 2018, we ran a four-week engagement program that sought community feedback on priorities for managing graffiti within the city. Your feedback was considered and used to guide the development of a new Graffiti Management Plan for 2019-24. This new Plan aims to meet the evolving needs and expectations of the community and Council. We are now checking back in with you to ensure that we have adequately interpreted your feedback. Please take a look at the draft Graffiti Management Plan 2019-24 and/ or the summary fact sheet available in the documents library on the right, and provide your feedback by completing the survey below. Consultation closes 24 April 2019. Your input will help guide our priorities and assist us in making choices that continue to meet the needs of our diverse community. The final plan will be presented to Council for endorsement at the meeting on 15 May 2019. Have you read the draft Graffiti Management Plan and/ or the summary fact sheet? We heard that a 10 business day response to requests for graffiti removal was acceptable, but needed to be faster in specific circumstances. In our new draft Plan we have proposed to prioritise removal of graffiti that is obscene, in high traffic areas and to public toilets. In the draft plan, we have prioritised street art and greening as preferred ways of reducing graffiti. 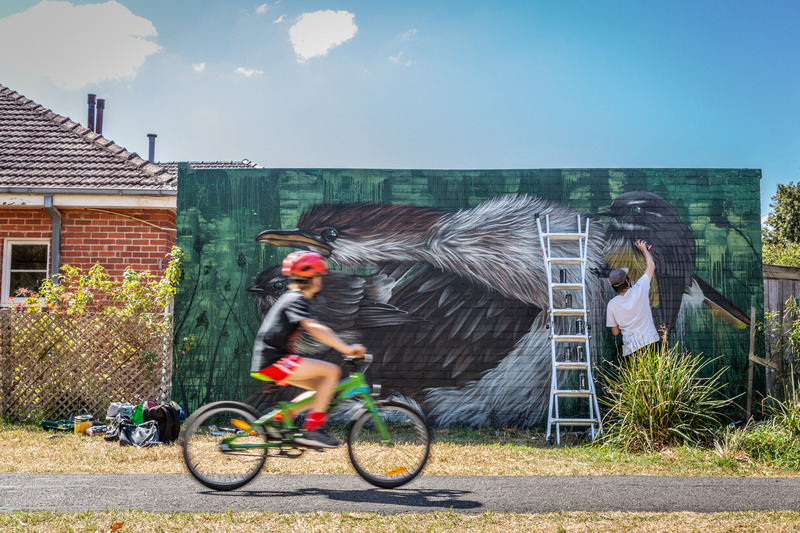 Street art and greening projects will be identified by Council, using graffiti removal data. Council will commission artworks, and greening programs will be delivered by Council working alongside community groups. We heard that our community are mostly supportive of reducing graffiti through street art. Are there any areas where you would like to see street art increased? Are there any street art or greening programs that you would like to suggest? Do you have any additional feedback on the draft Graffiti Management Plan? Seek feedback on the draft Plan. Present the draft plan and summary consultation information for endorsement. What do I do if I see someone creating graffiti? The word graffiti refers to words or images written, drawn, painted or etched onto property without permission. Graffiti can include tagging or unauthorised street art. Some graffiti may be elaborate, artistic and inoffensive, but if it is unauthorised, it is considered illegal. If you see someone graffitiing a public or private property, or demonstrating any other criminal behaviour, this activity should be reported to the police. What are the restrictions on Council removing graffiti? We remove graffiti from residential homes, commercial businesses and Council assets. Transport and utility providers maintain their own processes and timeframes for graffiti management and removal. We also do not undertake graffiti for any private property without the owner’s consent. If you have graffiti on your property and would like Council to remove it, please complete the Online Graffiti Removal Consent Form. Alternatively, you can request a free graffiti removal kit via ASSIST. We are unable to remove graffiti to publicly-held assets, a list of which is available on our website. If you are unsure if we can remove the graffiti from a particular location or asset, contact us and we will review the case. Our current service aims to remove graffiti within ten business days of receiving the report or your consent. This timeframe may be impacted by weather, a high volume of requests, or the complexity of the job. Is all street art illegal if not directly commissioned by Council or the property owner? Yes. Any designs painted or sprayed onto a public surface without specific permission from the owner is considered illegal and will be removed. What are the impacts of graffiti? Graffiti can have a negative impact on the presentation of a city and community pride. Street art is commissioned by Council or the property owner. Public spaces that are subject to graffiti might be avoided by legitimate users, and the possibility of more graffiti increases, meanwhile graffitists tend not to deface existing street art as much. Does the community get a say in the design and location of commissioned street art murals? We are always open to feedback and suggestions regarding street art in public spaces. If you notice a heavily graffitied area and think that it could benefit from street art – which is proven to reduce instances of graffiti – then please contact us. What kind of community consultation do you undertake before committing to public street art? Before undertaking a public street art project, we gage the level of public interest and the surrounding community. As street art reduces instances of graffiti when it is first completed, we will strongly consider areas that have a high rate of graffiti reports. If you think your area would benefit from a public art project, please contact Council’s Graffiti Management Team, and tell us why you feel this project would be suitable for your neighbourhood.